One thing I've surprisingly been doing a pretty good job at is lifting! For some reason, even though it's been on my goal list for months and months, I had a hard time sticking to a consistent strength training schedule. But since I started following the advice and below 3 days a week plan from this Greatist article (modified so I can do it at home), I've been doing a much better job of getting my lifts in every week. While I'm really happy with the plan that I've found, I haven't quite found the perfect system for tracking my workouts yet. When I was traveling I just used my phone's notes app to keep track of everything, which worked but doesn't give me an easy way to see progress. I just downloaded FitNotes and it's ok so far but I'm not blown away. I've also found a couple cute notebooks like this one, but I tend to lose them or not bring them when I travel. Q: How do you track your strength workouts? What's your lifting routine like? Now on to the party! Welcome to this week's Workout Wednesday (WOW) Link Up! 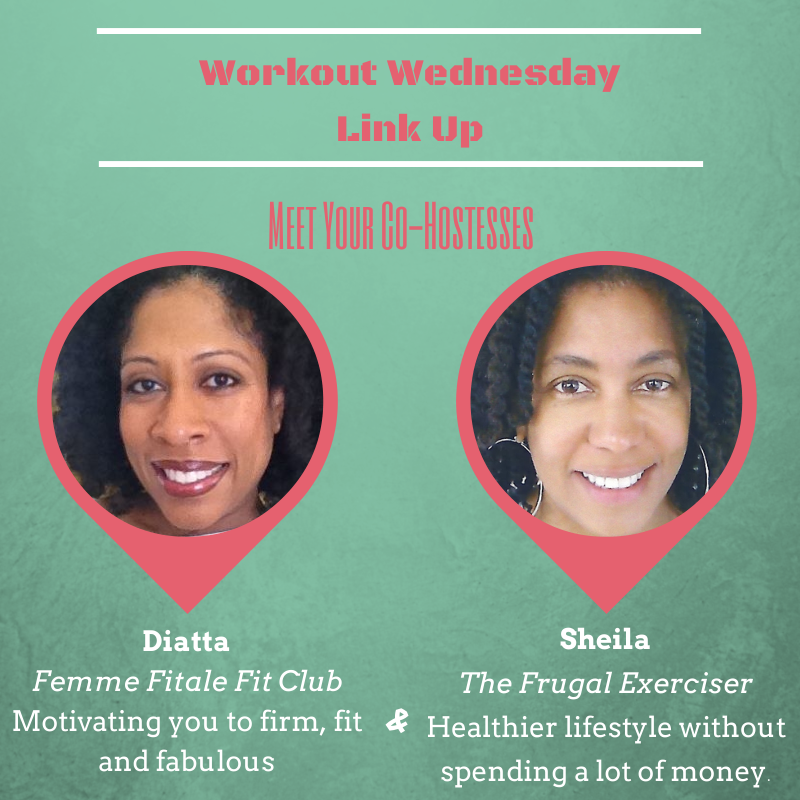 Diatta Harris | Femme Fitale Fit Club and Sheila Simmons | The Frugal Exerciser. 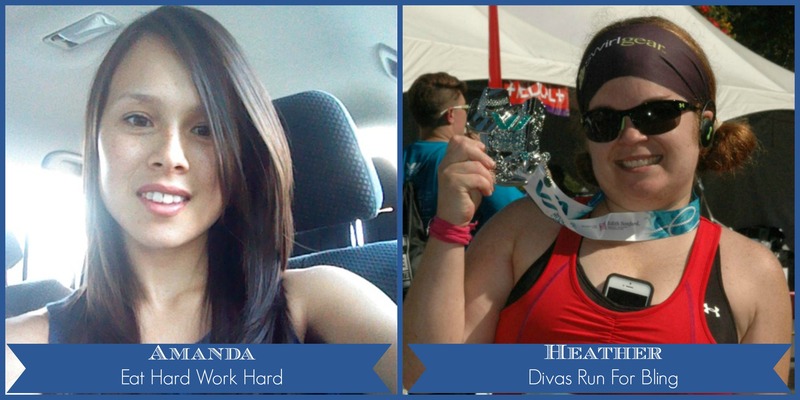 Be sure to stop by BOTH of our co-hostess' blogs as they are really cool and full of their fitness and running adventures so read some posts, leave some comments, share and subscribe so you receive regular updates. We are very happy to have them as co-hostesses. Sheila Simmons (The Frugal Exerciser) | Twitter | Facebook |subscribe via GFC or email. 5. Use hashtag #wowlinkup when you comment on someone's post so they know how you found them 6. Last but definitely not least, HAVE FUN! This IS a party. Yea that is not cutting it for me either! I'll definitely share whatever I come up with! Thanks Janelle! Yea I love strength training but for some reason it's hard to be consistent with it. So worth it though! I'm definitely lacking with the weight training :( I've gotten much better about getting in my running and yoga (with a strength training component) but it's mostly lower body. I've got to get in some balance with the upper body. When I was doing weight training, I used fitocracy to track things and it worked pretty well. Ooh I'll have to check out fitocracy! Thanks Chaitali! My strength training does not involve a consistent use of any weights, so I've never thought about tracking. I probably should try to at least keep track of types of workouts I do (arms vs legs). Hmmm, you've got me thinking! Oh man yea I don't blame you a spreadsheet would be hard for me to do! Wow that sounds intense! What do you use to track your lifts Diatta? I need to add more strength training in general. I'm good with running and PiYo (sometimes) but I need to incorporate weights. Right now I just do body weight exercises like push ups and squats that are easy to do at home. I like the idea of tracking it as that will make it more accountable. Yea for me if it doesn't get tracked I don't do it! I'll ask my friend/trainer what she's uses to enter all the strength workouts. I think it is an app. Will let you know! Ooh yes thanks Jenny! Would love to hear what she says! Haha no worries I've been super inconsistent too! Hopefully tracking well will be the key! I wish I could just follow what's on a piece of paper - I legit need someone SCREAMING - DO THIS DO THIS or else I won't do it!!!! HA! In the new year, I am finding a legit trainer to WHIP ME INTO SHAPE! 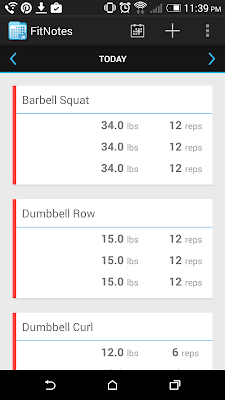 I have a bodyspace account through bodybuilding.com where I track some of my workouts but I'm not nearly as consistent with it as I should be. It's pretty user friendly...I'm just lazy. Ha! They have an app too. Haha I liked hand writing stuff too but I always lose or forget notebooks! 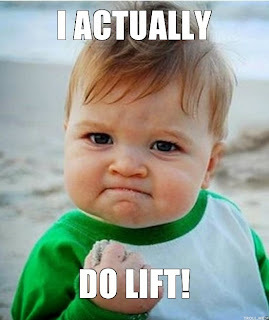 I've been slacking off on the weight training, this is great! 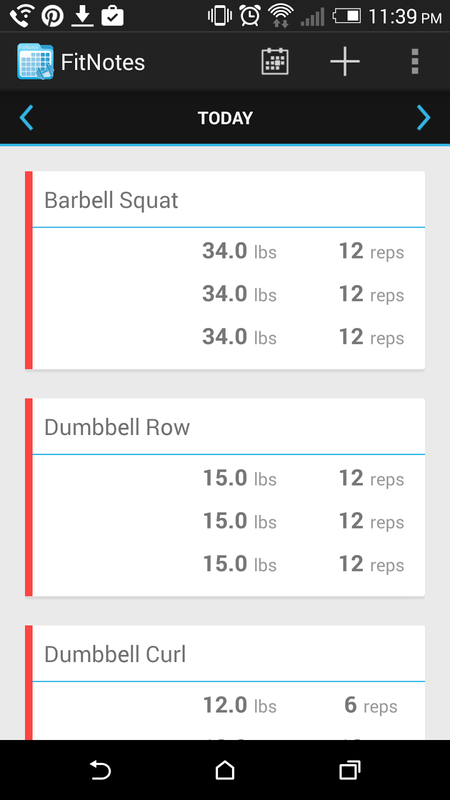 I use the WOD app to track my crossfit and lifting. I rely on my crossfit instructor to lay out all my strength training routines. I'd never be able to do it on my own! I am a regular reader of your blog. the blog is very interesting and will be much useful for us. To stay fit and active, we need to watch our workout and diet plans. So that we can easily maintain an ideal weight. People are suffering from obesity problems due to lack of proper diet and workout, so they need to visit the gym on a regular basis and maintain a strict diet plan. I would definitely follow some of the crucial points from here to maintain the weight. Nice concept on how to get rid of daily routine to and maintain a happy and blissful journey that is added with joy, strength, fun in work life balance. Live life good with power to do work like yoga, office jobs, house work, travelling etc. Professional yoga mats are extremely important for a soft yoga practice rather doing exercise work in normal floor. Check us out more and keep a note handy to updates whats new in shedding weight to balancing internal workout. We are here to give you a complete review on the Parallel Profit project by Steve Clayton and Aidan Booth. If you are someone from the field you would already be familiar with these two names, for those of who are new. Parallel Profits Review : Members Area Tour And BONUSES! I'm A City Fit Girls Ambassador!